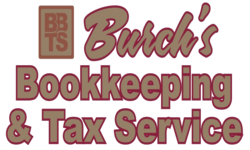 Burch’s Bookkeeping and Tax Service is a year round bookkeeping, payroll and tax service. It has been an integral part of the Rogue Valley since the early seventies under several different names and owners. It is our pleasure to serve you. Here is the current roster of staff members.